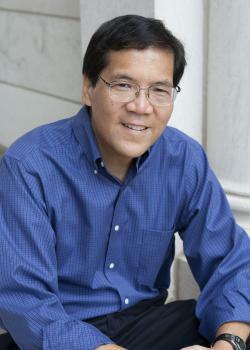 Stephen L. Chew has been a professor and chair of psychology at Samford University in Birmingham, Alabama since 1993. Trained as a cognitive psychologist, one of his primary research areas is the cognitive basis of effective teaching. Chew was selected as a Carnegie Scholar in 1998 as part of the Carnegie Academy for the Scholarship of Teaching and Learning (CASTL). His research interests include the use of examples in teaching, the impact of cognitive load on learning, and the tenacious misconceptions that students bring with them into the classroom. He is the creator of a groundbreaking series of YouTube videos for students on how to study effectively in college which are in wide use and have been viewed over 2.8 million times. More recently he created a video series for teachers on the cognitive principles of effective teaching. He was awarded the Buchanan Award for Classroom Teaching Excellence from Samford in 1999. In 2005, he received the Robert S. Daniel Teaching Excellence Award from the Society for the Teaching of Psychology as the outstanding teacher of psychology at four-year colleges and universities. He was named the 2011 Outstanding Master’s Universities and Colleges U.S. Professor of the Year by the Carnegie Foundation for the Advancement of Teaching. He regularly serves as a keynote speaker and workshop leader on teaching in general and on the teaching of psychology in particular.